This weekend members of GetLoFi crew will be joining forces with performers from the Northern city of Minneapolis on 3 special occasions. SHORT CIRCUIT – Saturday 02,20, 2010. 6PM – 9PM @ Shuga Records. Free All Ages. 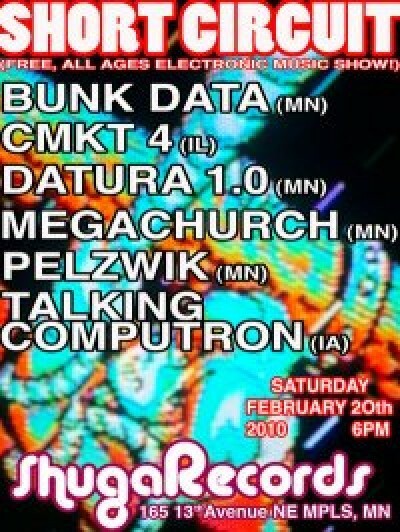 Artists include: Bunk Data (MN), CMKT 4 (IL), Datura 1.0 (MN) , MEGACHURCH (MN), Pelzwik (MN), Talking Computron (IA). D.I.Y. Soundscapers – Sunday 02,21, 2010. 7PM – 10PM @ U of M Ferguson Hall. Free All Ages. 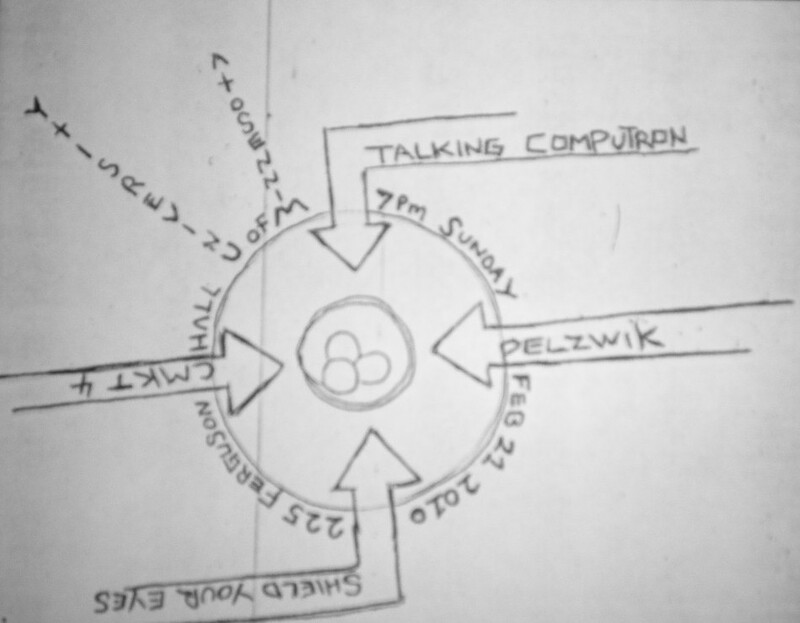 Artists include: Shieldyoureyes, CMKT4, Pelzwik, Talking Computron. Audible Humdrum – Monday 02,22, 2010. 10PM – 2AM @ Big Vs Saloon. Cover, 21+. 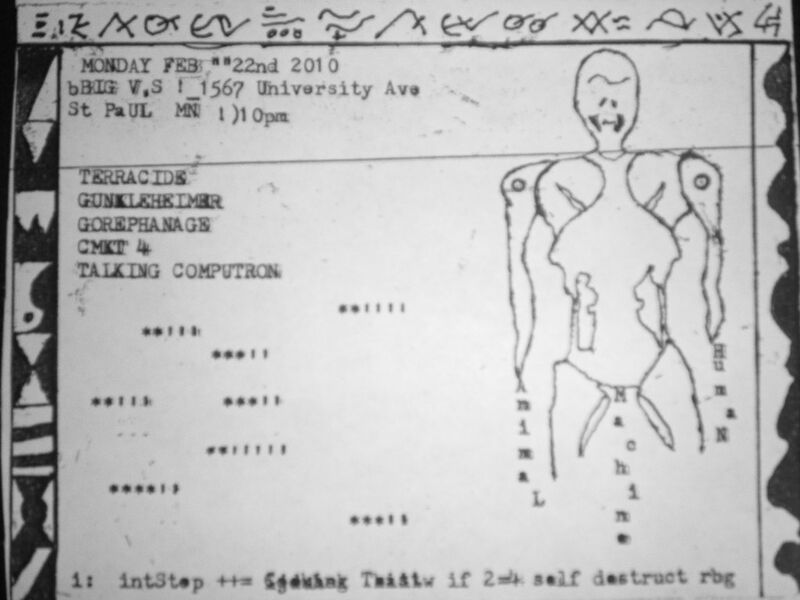 Artist include: Terracide, GunkelHeimer, Gorephanage, CMKT4, TalkingComputron.